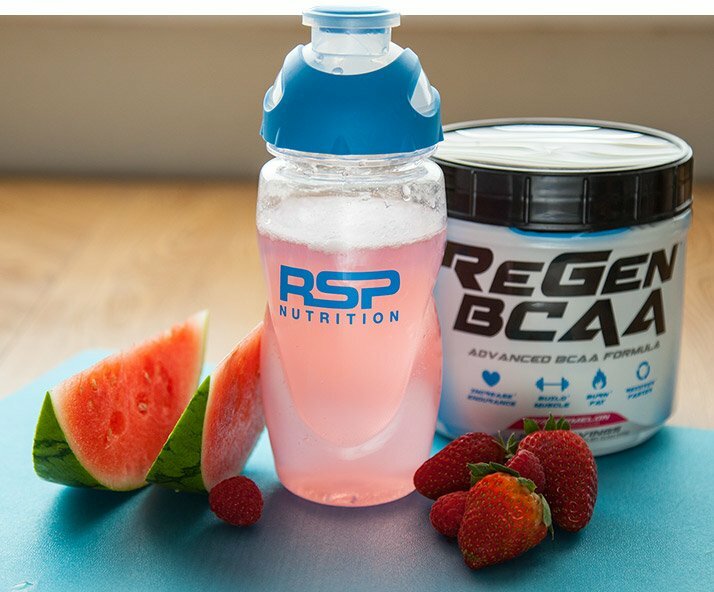 3 Delicious BCAA Treat Recipes! Feeling sore? Looking for new ways to enjoy your muscle-building BCAAs? Mix up your aminos with these incredibly tasty, oh-so-easy recipes! Feeling sore or tired during your workouts? It might not be a matter of overworking, but of under-recovery! The branched-chain amino acids (BCAAs) leucine, isoleucine, and valine can help. They may help prevent muscle breakdown, can function as an energy source, and may even help reduce exercise-related soreness. They're great on their own, but they're also incredibly versatile in drink recipes! If you're looking for a new and refreshing way to get your daily dose of muscle-building amino acids, you're in the right place. Try these sweet recipes that help serve up the taste of summer even during those cool, fall months! 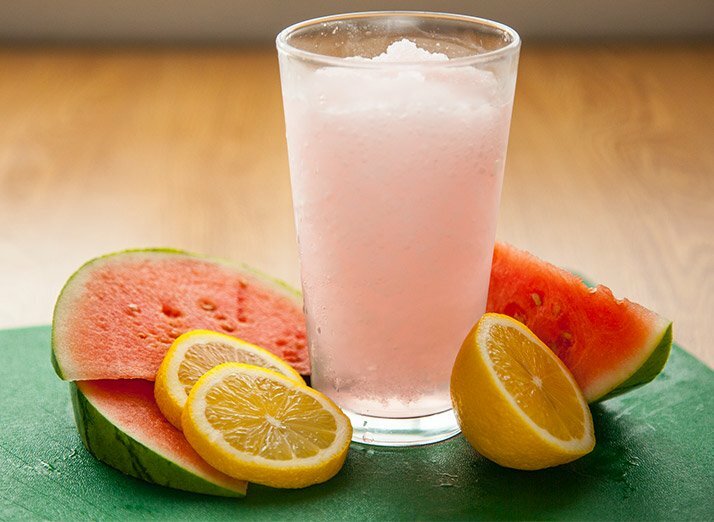 Forget the weather outside: Cold or hot, this drink lets you sip on the sweet taste of summer year-round. Sip it poolside for a refreshing but healthy warm-weather treat, or drink it during your workout for extra intra-workout power! With aminos as the main ingredient, this is one smoothie that's perfect for growth, endurance, and recovery. Advanced BCAA Powder for Increased Strength and Recovery! Go Now! Looking to add some extra oomph to your pre-workout? Let the flavors of the tropical forest get you pumped for your workout by mixing in half a scoop of DyNO fruit punch to your watermelon aminos! This combination delivers extra essential amino acids and gives you the intense energy you need to crush your workout. 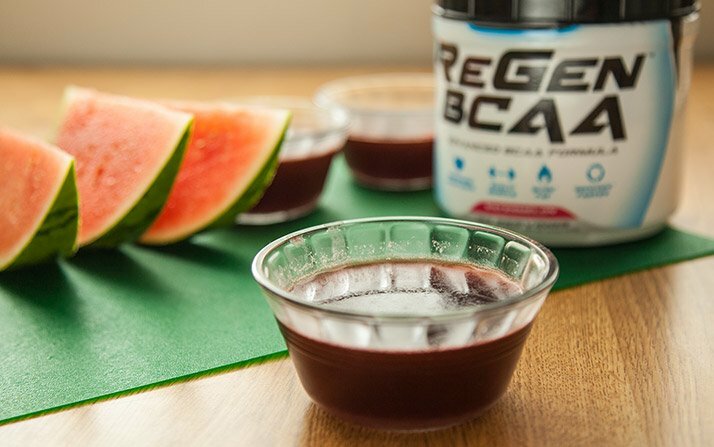 For the times you don't feel like sipping on aminos, or simply want something a little more substantial in your stomach, this refreshing Jell-O snack is king! It's the perfect combination of palate-pleasing, muscle-building fuel, and it's easy to customize to meet your flavor preference. Tip: If you're feeling fancy, refrigerate the Jell-O mixture in a small pan, and use cookie cutters to portion your BCAAs!